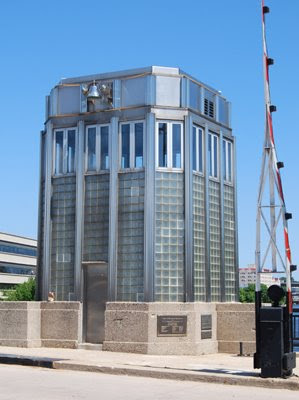 Built in 1940, the Cherry Street bridge has two beautiful art-deco style buildings used by the bridge tenders. Like the other bridges in town, they're now automated, so the buildings are not used on a regular basis. What an interesting piece of architecture! I love the style of the 1930s.